Tweet (ITA) Riccardo Sbertoli To Leave Milano For Monza? 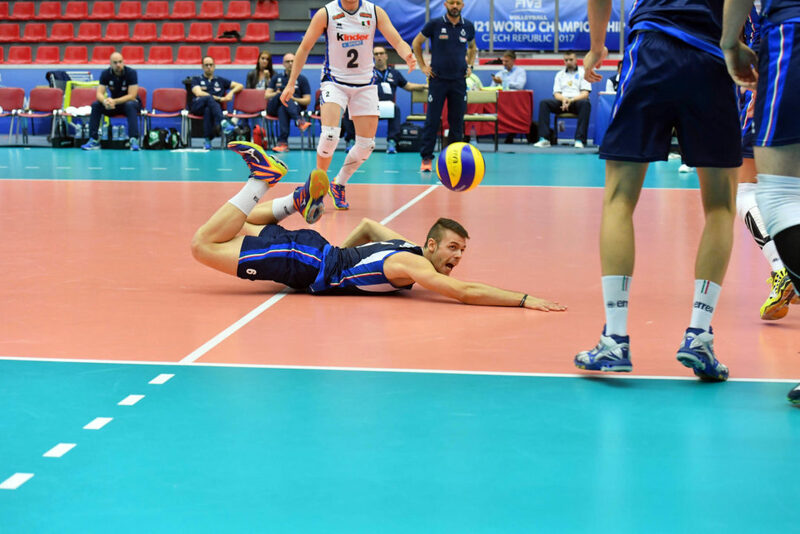 Reports by Italian blogger Gian Pasini have it that Riccardo Sbertoli, PowerVolley Revivre Milano’s and the Italian national team’s setter, is having talks with representatives from Monza Vero Volley about joining the team next season. Sbertolli is one of Italy’s most promising young players, being a constant call up on its senior squad at only 19 years old to back up starting setter Simone Giannelli. A fracture to his fifth left metatarsal hampered his whole 2017-18 domestic season, although when healthy, he contributed solidly to the team. In 48 starts with Milano in the previous two seasons, he led the squad to 46,7% hitting at 39% efficiency. Milano has been the only team Sbertolli has played for in his A1 career. Puerto Rican legend Angel Perez took over the team’s offensive command on his absence. The team also lost considerable firepower this season, as A1’s highest scorer, Nimir Abdel-Aziz, has also been out with an injury. Milano currently sits in 6th place of A1’s standings with a 12-10 record. If the transfer is indeed to be done, speculations have it that Raydel Hierrezuelo would replace Sbertoli on Milano. Revivre Milano is one of the strongest suitors to woo Italian superstar Ivan Zaytsev away from Sir Safety Perugia’s squad at the end of this season.